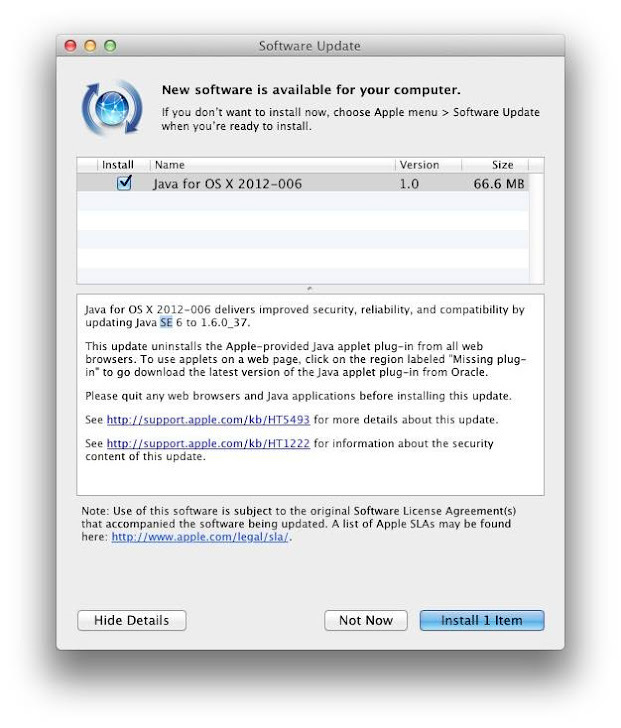 Apple has discontinued its own Java plugin, issuing an 'update' that removes it from MacOS and encourages users to instead download Oracle's version of the software. Its another step by Apple towards making OS X safer on the web. Mac users may have noticed that Java-based websites are displaying a "Missing Plug-in" notification. The Apple Support page states that this update is for OS X 10.7 and later. Apart from stripping browsers of the Java plug-in, it also removes the Java Preferences application, since it is no longer required for applet setting configuration. Just to be clear, the update does not remove Java from your system if its installed, just the Java plugin from your web browsers. In April this year, Apple came under the scanner for Flashback malware that threatened OS X users by exploiting a vulnerability in Java. Dubbed as a BackDoor.Flashback.39 Trojan, the virus attacked over half-a-million computers.